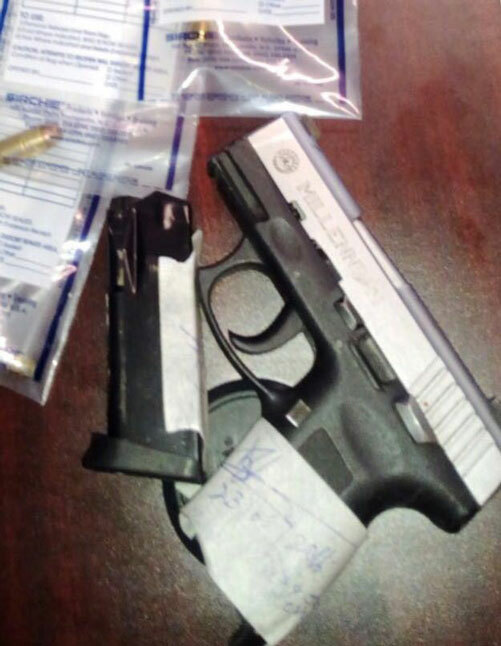 Basseterre, St. Kitts, May 23, 2016 (RSCNPF): The execution of search warrant this morning (May 23) in the New Roads area has resulted in the seizure of an illegal firearm and matching ammunition. The seizure of the .45mm pistol and 7 rounds of .45mm ammunition bring to ten (10) the number of illegal firearms seized from our communities so far in 2016. Officers also discovered a quantity of cannabis in the search. Two persons were taken into custody and charges are likely to be filed upon completion of the investigation. The execution of the above warrant was of six (6) warrants executed in this morning’s (May 23) Police operation. Next articleCotton Thomas Comprehensive School; Splash Into Reading.